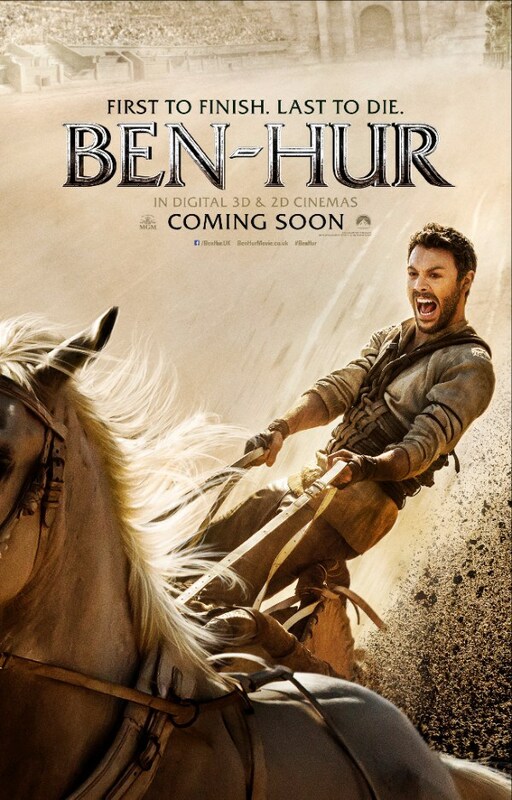 The Trailer For ‘Ben-Hur’ Is Action-Packed!!! The ‘Ben-Hur‘ remake has moved from an idea, to a project that is very much finished filming and is now tidying up the images we, the public, will soon get to see. The beginning images have looked absolutely amazing and prove that this movie will be on the epic scale we expected it to be, now we have a trailer to prove that, as well. Director Timur Bekmambetov (‘Wanted‘) took on the gargantuan task of remaking “the greatest story ever told”, which began life as a novel by General Lew Wallace, from there it grew to be two feature films and a Broadway production, cementing its status as a powerhouse of a story. Judah Ben-Hur (Jack Huston), a prince falsely accused of treason by his adopted brother Messala (Toby Kebbell), an officer in the Roman army. Stripped of his title, separated from his family and the woman he loves (Nazanin Boniadi), Judah is forced into slavery. After years at sea, Judah returns to his homeland to seek revenge, but finds redemption. The project debuts August 12. Netflix Releases Trailer For Original Film ‘iBoy’!!! ‘Pride and Prejudice and Zombies’ Looks AWESOME!!!! Hollywood has found their New ‘Ben-Hur’!! This entry was posted on Wednesday, March 16th, 2016 at 4:31 pm	and is filed under Books, Film, News. You can follow any responses to this entry through the RSS 2.0 feed. You can skip to the end and leave a response. Pinging is currently not allowed. « Film Review: ‘Miracles from Heaven’! !